Franklin Theatre - Restless Heart - Christmas - SOLD OUT! 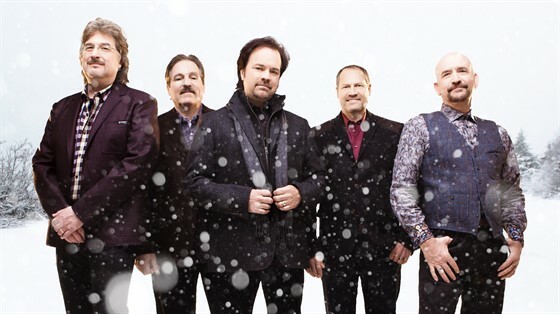 Restless Heart - Christmas - SOLD OUT! And, the story is far from over, as Stewart says Restless Heart still has a lot of history to make. “We are still at the top of our game when it comes to singing and playing together. We’ve got some projects we’re working on, and we want to put the Restless Heart brand out to music fans again – to let them know we’re still here and making good music. We’re really looking forward, not trying to rest on our past laurels, we really want to do some new music. We have some fun things we’re considering to celebrate the moment, which we’re trying to put together, and reintroduce ourselves to the world, and take another stab at something.” Restless Heart – Thirty Years and Those Musical “Wheels” are Still Going Strong!